It can be hard to eat healthy! Luckily, there are some very simple ways to organize your kitchen to lose weight so you can reach your goals. You need to organize your kitchen so that healthy eating is easy. Keep the good for you choices front and center so that you will be more inclined to reach for those options. You know that it is easy not to eat junk food when it’s not in the house. Sometimes that is easier said than done, especially if you have kids. My daughter LOVES Oreos so I always have some in the house for her to snack on. Instead of keeping them in a cookie jar on the counter, I put them on the top shelf in the pantry. If I ever have a craving for one, I have to work extra hard to move things to get back to them. When you have to put forth more energy to do something, you are more likely to think twice about getting it. Keep all of the healthy snacks in the front in the middle of the pantry or refrigerator. When things are at eye level, you are more likely to reach for it. Store the healthy items in clear containers so that you can easily see what is in each container. Keep the junk food in opaque containers and you may even forget that you have them. To give yourself more space in your fridge or pantry, empty the food from the original packaging into the same sized clear containers. Things like cereal boxes can be very bulky and take up precious storage space. Keep a bowl of fruit that doesn’t have to be refrigerated out on the counter to make grabbing a snack super easy. How Do you Set Up a Healthy Kitchen? Some healthy foods need to be kept in dark, cool areas to stay fresh. Store things like potatoes, onions, and garlic in a dark drawer or pantry. Line a deep drawer with parchment paper to easily store these items and keep them fresher longer. Olive oil is another item that needs to be kept in a dark cabinet so it won’t lose it’s nutrients. Make it easier on yourself to cook a healthy meal by keeping appliances on the counters instead of in cabinets. Things like a slow cooker, pressure cooker, and blender can make easy healthy meals. If you don’t have the counter space, I love the Ninja Foodi. It’s a slow cooker, pressure cooker, air fryer, roaster, and steamer all in one! You may also want to keep your cutting boards out to make prepping fruits and vegetables easy. Invest in some pretty ones that go with your decor and you will be more likely to use them. I like storing mine against my back splash and knife block. Once you bring all of your healthy vegetables, fruit, and snacks home, chop them up as soon as you can. When everything is pre-chopped, you are more likely to eat it. Remove all of the take out menus from your fridge and replace it with a dry erase board or just a notepad. You can easily make a grocery list of items as you run out of them and jot down any ideas for meals that you may have. If you don’t have the time to sit and come up with a meal prep list, you can use a program like eMeals to help you. You can get a free trial to see if it will fit with your lifestyle. Keep the huge dinner plates stored away and only use them as serving platters. I am so surprised at how large our dinner plates have become. I remember buying a new set of dinnerware and pulled out the “lunch plate” and thought that was the “dinner plate”. Use the lunch plates or appetizer plates to have your meals on. 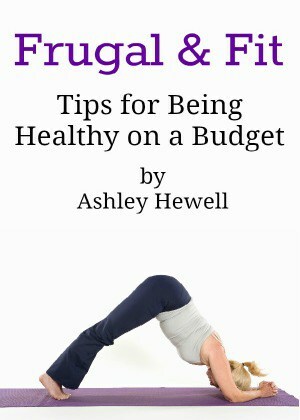 It will help you with portion control and eating in moderation. Get the entire family involved with keeping the kitchen clutter free. Keep the counters clear and don’t use the table as a place to store the mail. Studies have shown that when your kitchen is cluttered, you eat more than you would if the kitchen was clean. If you don’t have time to do a full clean out of your kitchen, just take 10-15 minutes a day to work on getting it organized. It will make such a difference to your anxiety and stress-levels. 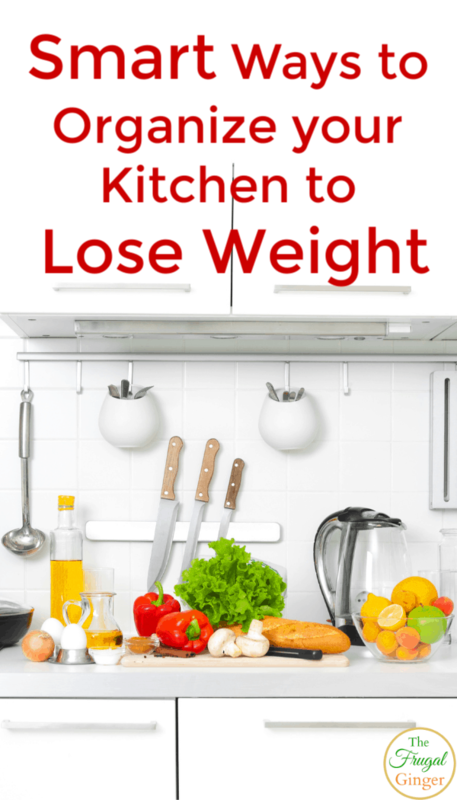 Just by making a few simple changes, you can organize your kitchen to lose weight in no time. It does take some effort to keep the healthy foods at the top of your mind. It will be worth it when your family is healthier!